The Set Specification Owner task will change the owner of a specification. This is especially useful when processing specifications through DriveWorks Autopilot, where this task can assign the specification back to the original owner. Owner User Name The name of a user which will be the new owner. Reports for each specification are listed in a separate panel under the listing for any documents created. Actions that can be performed on a specification appear as buttons on the command bar. Any custom actions (Transitions and Operations) also appear as buttons, with the name of the action applied to the button. Report Entry Counts - the quantity of success, warning and failure indicators are summarized in the Report panel. 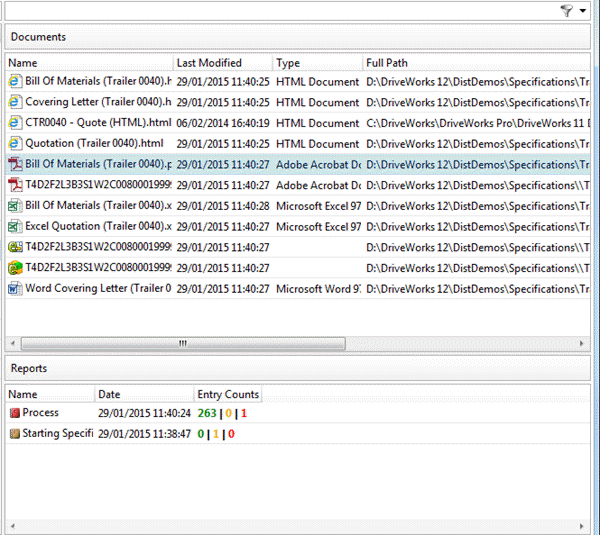 Reports can be hidden from non-administrators in the Specification Explorer and in the Application Theme in DriveWorks Live. 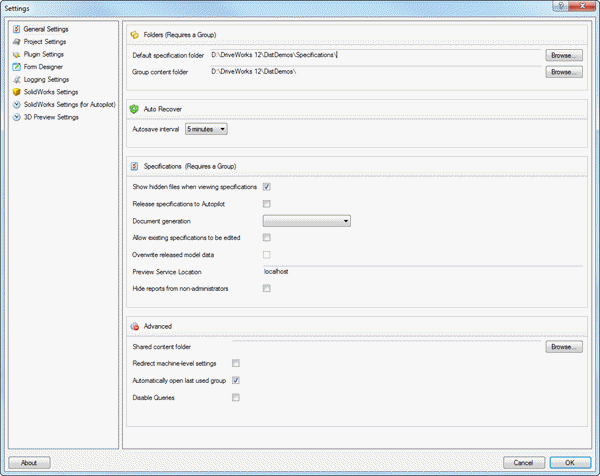 This is a setting listed under the Specifications section of the General Settings window. Each report can be filtered to find a particular entry quickly. The name of the opened report appears in the top left of the report window.